It’s fun to see, to harvest, and to eat! 5 greatest fruit producing areas in the vicinity of Tokyo. There are so many areas famous for producing fruits around Toyo. The fresh fruits right from the trees, etc. will offer you the deliciousness different from those you get from the city. Here are some of the fruit producing areas that we recommend. Yamanashi prefecture is a home to many orchards for grapes, peaches, and cherries, and you can also experience fruit picking. It is also famous for wines made from grapes harvested in Yamanashi, and you can visit wineries. There are producing areas for apples, grapes, pears, and blueberries scattered within Gunma prefecture. You can go there to pick the fruits of your choice in your favorite season. You can also go visit the nature, tourist attractions, and onsens offered by Gunma prefecture. In Tochigi prefecture, you can enjoy experiencing all-you-can-eat strawberries and jam-making workshop at tourism strawberry farms. The ripe strawberries sold under original brands are exquisite! Chiba prefecture has some tourist attractions where visitors can pick fruit tomatoes, strawberries, and kiwifruits. In addition, you can enjoy sweet potato digging and flower picking in some seasons. 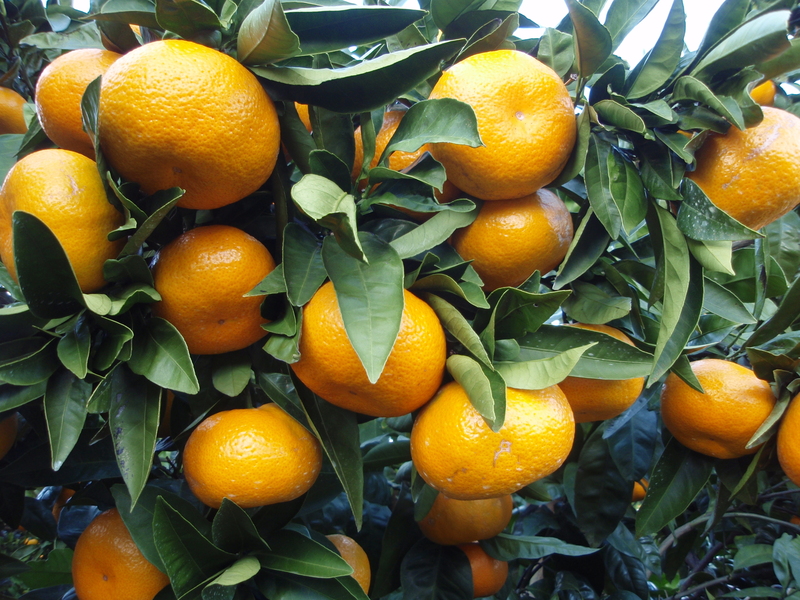 Mikan, Japanese tangerines, has many varieties, and there are some farms where visitors can pick mikans throughout a year. Why don’t you look up the type of the mikans you like and visit Shizuoka prefecture for mikan picking experience? Each of the fruit producing areas have many farms, so why don’t you stop by there during your sightseeing to refresh yourself with fresh fruits?